Adorable bibs for the youngest alpaca lover. Soft cotton with a cute alpaca design. The closure is velcro. 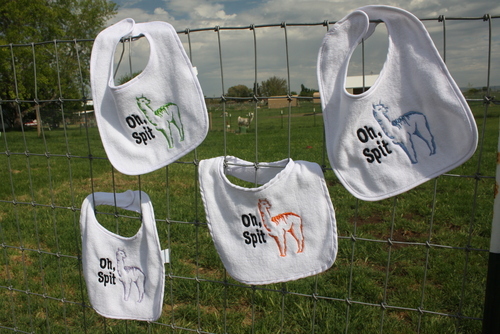 Fanciful and accurate bibs for that special precious one on your gift giving list. A variety of colors available.